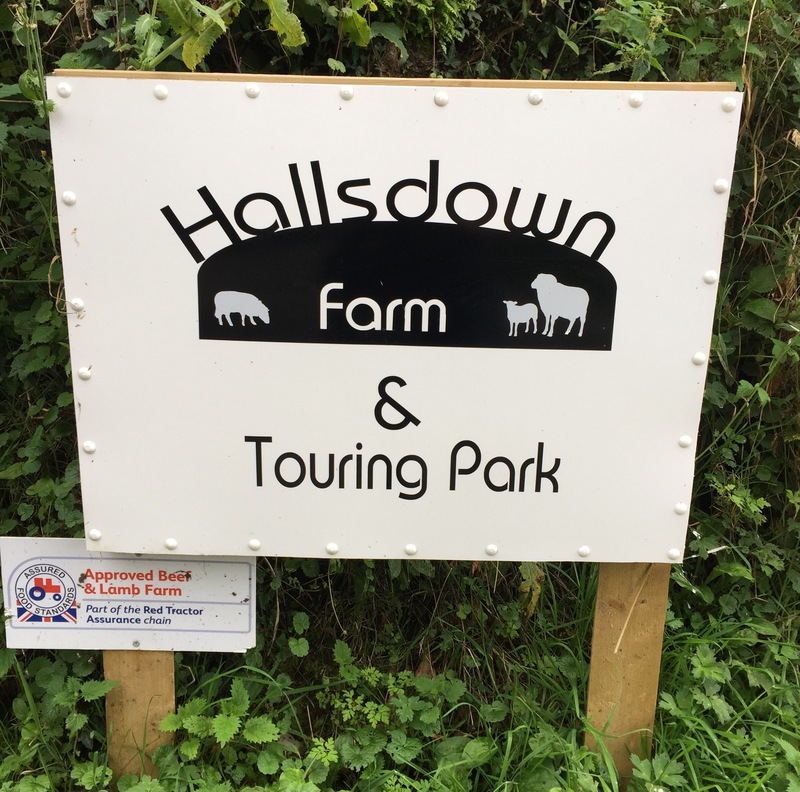 Hallsdown Farm is a 110 acre working sheep farm in Devon. Due to the close proximity and large number of sheep unfortunately, but understandably, they can’t accept visiting dogs on site. The land has been farmed by three generations of the Mather family with the current owners, Andrew and Claire dedicating some of their land to touring caravans. The site is split into two adults only areas, completely separate and out of view from each other. 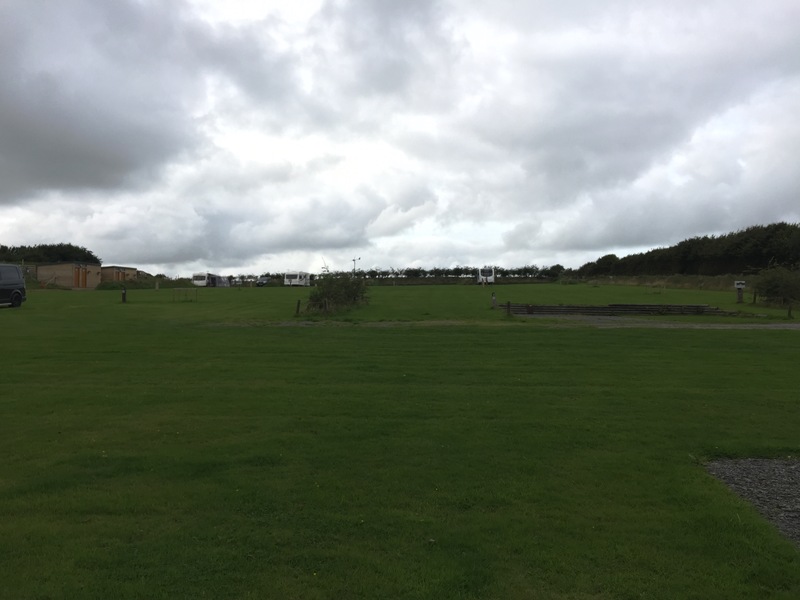 One part is a dedicated Caravan and Motorhome Club 5 pitch CL whilst the other area is a touring site with 20 pitches. The touring site has four unisex bathrooms, laundry facilities and washing up area. 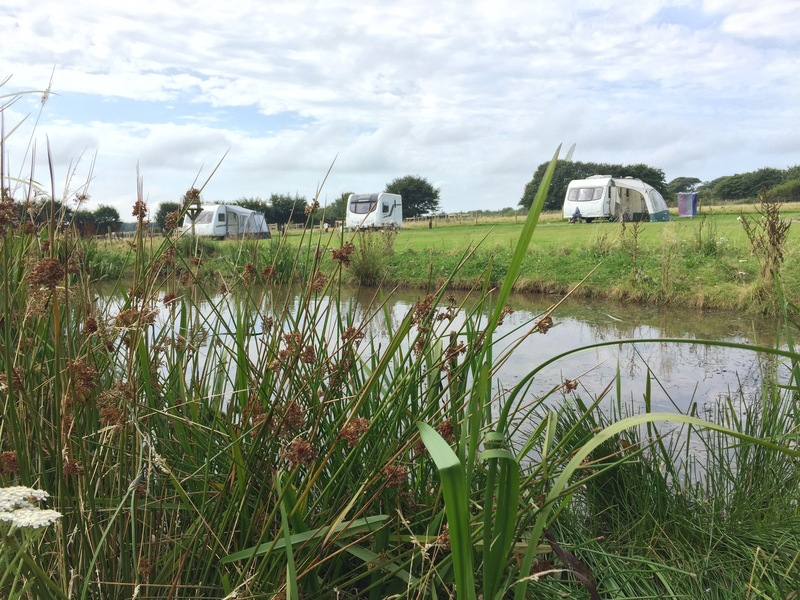 We are on the Caravan and Motorhome Club CL side of the site with just 5 pitches. The pitches face out onto a small pond and wetland area, home to friendly ducks which will come and have a nosey in the hope of food. Behind is a field which is home to two goats, Lily, Tula and Trojan the Alpaca. 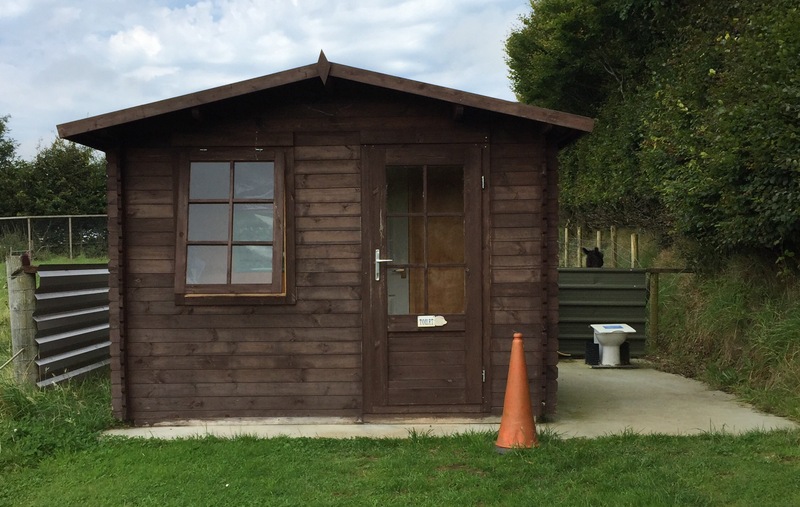 All five pitches are hard standing and are serviced with water tap and waste water drain, a small information office and one toilet on site. The toilet is clean, warm and well stocked with soap, paper towels and loo roll. The pricing structure is slightly different for the CL and Touring Park. 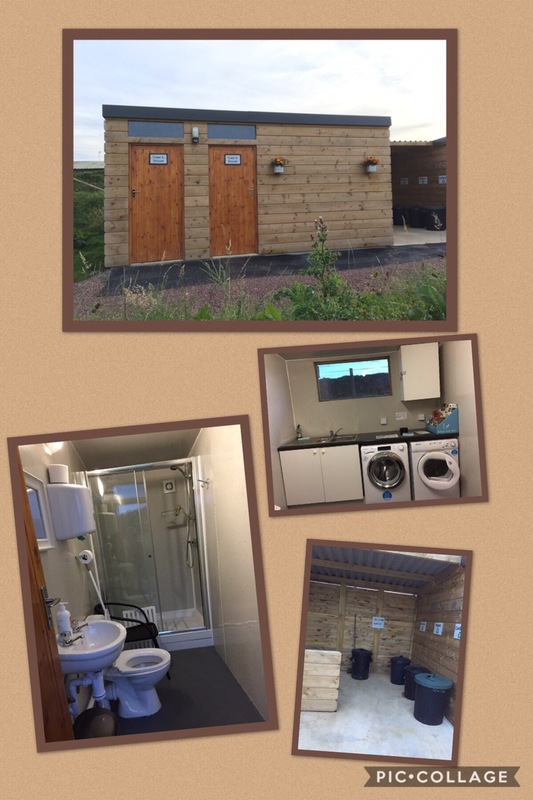 The extra toilet, shower and laundry facilities of the Touring Park command a higher charge plus electricity is via pre-paid card (unused electricity refunded on card return). The CL costs for 2017 are £13 per night with electricity included. We considered the cost difference appropriate for both sites and would be happy to stay on either. Upon request, Andrew, will give a tour of the farm on a Tuesday evening were you will get to walk amongst the flock of 900 sheep and see Benjy, the sheep dog in action. Silence is golden on this site, broken only by the sounds of animals. We felt this was an advantage over many alternative sites in the area that are situated very close to busy roads, especially so in peak periods. There is a farm shop just half a mile down the road and supermarkets in Barnstaple which is 9 miles away. This is North Devon so tourist attractions are plenty and within easy reach. Would we recommend this site and will we return? Oh yes, we’ll be back. 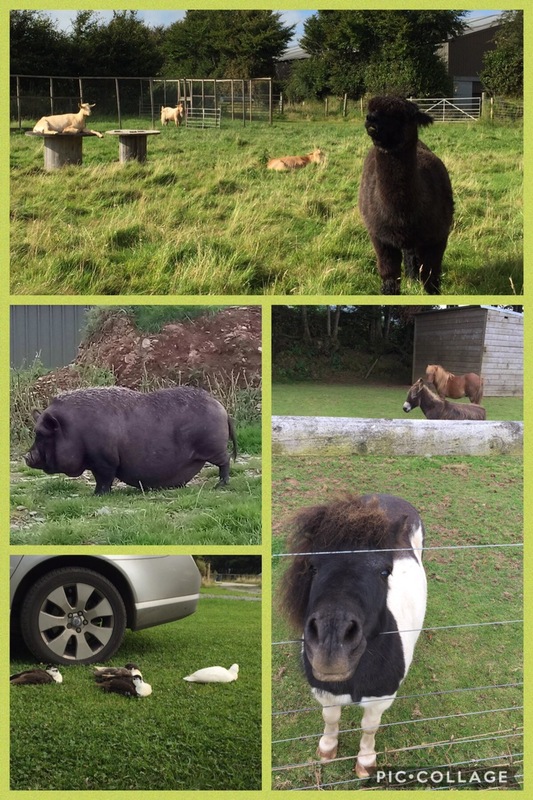 Hi Deb, loved the latest Blog about North Devin. It was nice for you to write about an area that we too have caravaned in the past, seeing many of the same beauty spots that we have previously. Shame you didn’t do the Birds Of Prey Walk. The proprietor owns the outdoor shop in Combe Martin. If you get chance to return, it must be on your bucket list….not at all like the birds of prey experiences we seen before! We were only there for a Monday to Friday trip so really only had 3 days to play with.